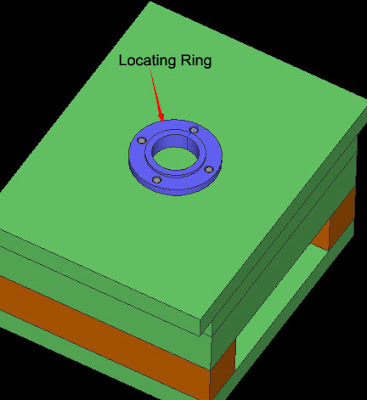 Locating ring is simple part but, very important when mold base attach to injection machine, ok here the construction of locating ring after assembled in mold base. 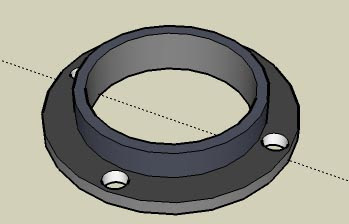 from picture above we know that locating ring diameter is 200 mm and diameter of nozzle is 52 mm, so your locating ring outer diameter must same with those injection machine locating ring hole. 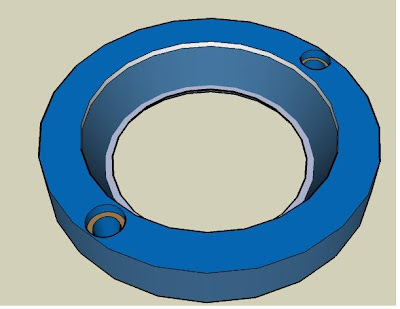 2. don't worry about the tolerance, at the injection machine tolerance always about minus 0.01-0.1 mm, then the locating ring tolerance if we buy in standard mold part company is about minus 0.01-0.05.
below is some picture of locating ring that was i sketch using Google sketchUp, now i provide two type of locating ring. 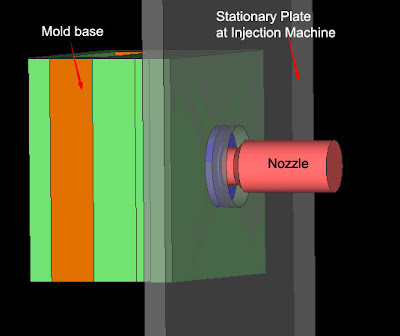 to choose right locating ring in mould is depend on injection machine nozzle, locating hole diameter, nozzle length in other factor. 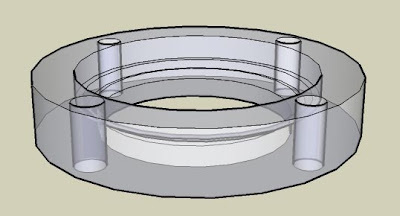 this type have large chamfer from top to bottom in inner hole, those chamfer provide shape so nozzle can touch the sprue more precise and easier. Truly impressed after founding your research in the web.